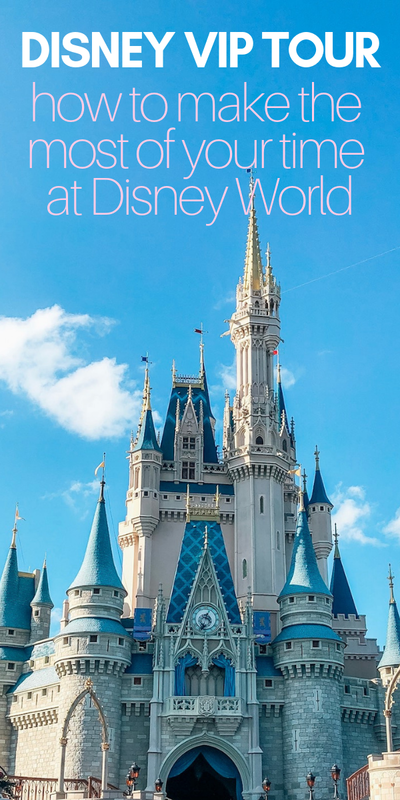 For many people, visiting Walt Disney World in Orlando, Florida is already a dream vacation, especially for those with little kids. There’s something about walking through those Disney gates that turns even the grumpiest adult into a child who believes in magic. This summer, Chevrolet invited my family to experience that magic on the Ultimate Walt Disney World vacation and road trip to Kennedy Space Center. You can read all about that here. The biggest surprise, though, was the 8 hour Disney VIP Tour they provided us with on the last day of the trip. To be perfectly honest, I didn’t even know this tour existed until I saw it on the itinerary. I did a quick Google search and my jaw dropped when I found out what the tour entailed. 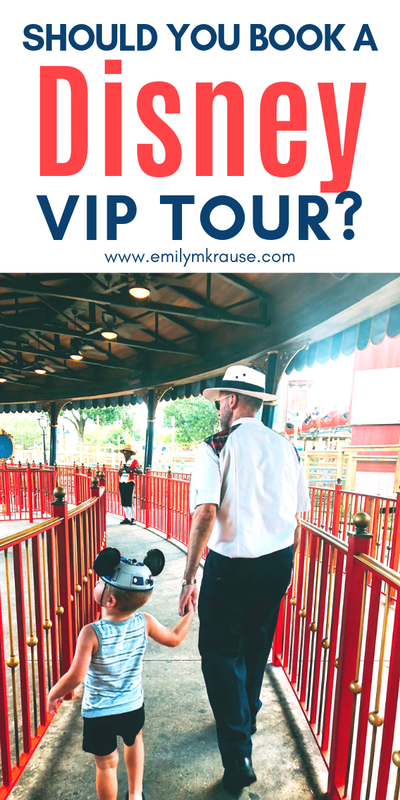 Now that I’ve experienced the tour for myself, I thought I would share my thoughts, along with the facts of the tour so you can make an informed decision about whether or not you want to include a VIP tour on your next Disney trip. WHAT IS THE VIP TOUR? Basically the VIP Tour means you get your own private guide to help you plan your day in the most efficient manner possible, skip most lines, get prime seating for parades and shows, and get treated like royalty. HOW MUCH DOES THE DISNEY VIP TOUR COST? As you can imagine, the VIP Tours are not cheap. They cost between $425 and $625 per hour, depending on the season, and require a minimum of 7 hours. That’s right, for one day you would be paying MINIMUM $2,975 for these special services. And if that’s all the VIP Tour was - skipping a few lines - I would agree that yes, that’s an outrageous amount to pay. But I’m going to tell you why I think it’s worth it for certain groups, and when it makes sense to book this tour. In fact, our tour experience was so incredible that I would even consider paying full price for one at some point in my life. It was that good. So yes, the tour costs anywhere from $2,975 and up, BUT that is for a group of up to 10 people. Also, be aware that the price of the VIP Tour does NOT include park admission. You must already have purchased tickets to the Disney Parks, and make sure you have a park hopper pass if you want your guide to take you to more than one park! As an introvert, I was actually kind of dreading the day of our Disney VIP Tour. My husband, the extravert who can talk to anyone about anything, was along with us on the trip, but had to drive back home for that particular day due to work commitments. So it was me by myself with the three kids. AND I was going to have to make small talk with a stranger all day? An introvert’s nightmare. As soon as we met our guide, Michael, my fears were immediately put at ease. He was laid back, easy to talk to, and best of all - GREAT with the kids. Right away he took command of the stroller and asked if there was anything we wanted to see at Hollywood Studios (which is where we met up with him). I gave him a few ideas and within seconds he had mapped out a plan of action to maximize our morning there before heading to Magic Kingdom. My 3-year-old, Teddy, really struggles with crowds and loud noises, so as you can imagine, Disney World was a challenge for him. He was over-stimulated and anxious a lot of the time there, and I kept apologizing to our guide, Michael about it. But it was obvious that Michael was a pro. Not only did my child’s crying not bother him one bit, but he was actually instrumental in helping Teddy overcome his fears. We tag-teamed most rides, so I never felt overwhelmed juggling the 3 kids by myself. Skipping the lines was probably one of the biggest factors in making our day more enjoyable, as kids notoriously get very bored very quickly when waiting in line for a ride. Not to mention I was holding a squirmy one-year-old most of the time who just wanted to practice his new skill of walking. But as I mentioned above, having an unlimited human Fast Pass for the day is just a small part of what the tour actually entails. (By the way, when I say “we skipped lines” it just means our “Plaid” acted as a human Fast Pass, so we often had to wait a minute or two with the other Fast Pass holders). Michael took it upon himself to make sure the kids were getting out of the sun every other ride, He got us cold waters when we emptied our water bottles, and pointed out the best spots for snacks and meals. When he drove us from Hollywood Studios to Magic Kingdom, his van was already equipped with car seats. Upon arrival at Magic Kingdom, a crew of fellow plaids was waiting to greet us like royalty, and hand us cold waters and snacks. (Honestly, that was one of the highlights of the trip for my kids - picking out as many snacks as they wanted from that basket). To me, the most valuable part of the VIP tour is that your guide becomes like another member of the family - but a family member who knows all the secret tips for getting the most out of your day at Disney. Finally, toward the end of our 8 hours, Michael led us to prime seating for the parade, then got us popcorn and water while we got settled in. It was the perfect end to our tour, and when he dropped us back off at our hotel, it felt like we were saying goodbye to a close friend. The kids still talk about him to this day. WHAT’S THE BIGGEST BENEFIT OF THE VIP TOUR? Aside from the obvious answer of skipping lines and packing everything you want to do in the span of a few hours, the biggest benefit to me was that I didn’t have to think or make decisions all day long. Listen, Disney is magical, I won’t deny that. But when you are the deciding adult in charge of the happiness and well-being of three very dependent little ones, the parks start to lose a little of their magic. Constantly having to weigh wait times vs everyone’s hunger levels and whether the toddler will stay in your arms that long is exhausting. Constantly having to navigate the park, choose what to ride and what not to ride, what shows to see and what to skip, which characters to wait in line for etc…it’s so so draining. All of this while your kids are whining about walking too much and snacks and thirst and the heat….yikes. But having a Disney VIP tour guide with you takes that burden off of your shoulders. You’re free to actually enjoy the parks with your kids. You’re free to be present and share the experience with them rather than being stuck in your own head mapping out the next 2 hours. Yes, how the day goes is up to you, but I would highly suggest giving your Plaid a list of must-dos and letting them run with it. WHO IS THE DISNEY VIP TOUR FOR? I don’t think every family on every trip would benefit from the Disney VIP Tour. There are definitely a could circumstances where this would be far more beneficial and worth the extra money spent. (1) The Disney VIP Tour is for people who are not very familiar with Disney World but have a very limited amount of time at the parks. (2) The Disney VIP Tour is for people who don’t want to spend hours researching Fast Passes, park strategy, must-dos, etc. 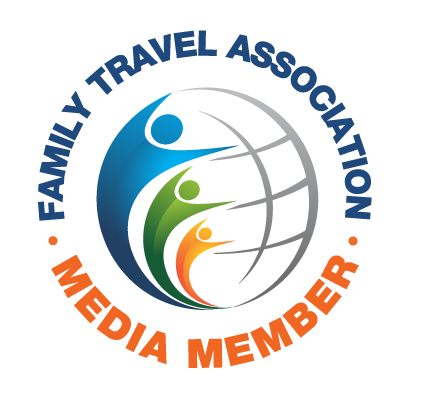 This is for people who are willing to pay someone else so that they can enjoy the vacation with their family. (3) The Disney VIP Tour is for families who are on a once-in-a-lifetime trip to Disney World but still have young children. This is because little ones don’t have the stamina or patience of middle school/high school aged kids. You can’t push them to the limit without suffering consequences. With a VIP Tour you can avoid lines, get tons of extra perks, and still do everything you wanted to do (and more!) in a shorter amount of time, and still get back to the hotel for an afternoon nap or swim. (4) The Disney VIP Tour is for families who are visiting with another family and are willing to split the cost of a VIP Tour for an ultimate day of fun at the parks. (As long as the sum total of both families is 10 people or less, including infants). (5) The Disney VIP Tour is for families for whom money is no object and they want the ULTIMATE magical day at the park. They are willing to pay extra for the very best experience. As our tour guide pointed out, yes, the Disney VIP Tour is expensive. However, it could potentially save families an extra day at the parks because they’ll be able to fit more into a day. You could use this extra day to enjoy your resort or take a day trip to a nearby beach. IS THE DISNEY VIP TOUR WORTH THE MONEY? I’m not sure I can answer this accurately for you, since Chevy covered the cost our our tour. Of course it was one of the most memorable experiences of my life, and of course our kids still talk about it all the time. But we also didn’t agonize over the cost or save up for months to make it work. So all I can say is that you have decide if what I described above is how you want to spend your hard-earned money. I hope sharing our experience helped inform your decision! I would highly recommend the guide we had. He was knowledgeable, great with kids, funny, and shared some insider knowledge and entertaining stories of his time working as a Disney Cast Member. If you’re booking your VIP Tour through Disney, just request Red Sox Michael as your tour guide! Here are some ideas for what to wear on a hot day at Disney. Have you looked into the Swan & Dolphin for accommodations? Visiting Disney with a baby? Check out this post.